A. Labeyrie graduated from Ecole Supérieure d'Optique and Université de Paris-Sud, Orsay. A Directeur de Recherche at Centre d'Etudes et de Recherches Géodynamiques, Centre National de la Recherche Scientifique and a membre correspondant of the French Academy of Sciences, he has been recognized for his pioneering work on astronomical imaging beyond the atmospheric turbulence and telescope mirror quality limited resolution, and in particular his invention of speckle interferometry. A graduate of Stanford University, J.R. Fienup was a research scientist with ERIM, Ann Arbor and in 2002 became a Professor of Optics in the Institute of Optics at the University of Rochester. The ICO Prize recognized his contribution to the field of image restoration, phase retrieval from amplitude data, and image estimation, including in particular iterative estimation algorithms applied to optical imaging, coherence, and remote sensing. J.C. Dainty received his doctorate from Imperial College in 1972. In 1984 he was appointed the Pilkington Professor of Applied Physics at Imperial College. His contributions span a period of more than 15 years. His book &laqno; Image Science È, written jointly with R. Shaw, is regarded as the standard treatise on the subject. He edited the book &laqno; Laser Speckle and Related Phenomena, the primary reference in this field. More recently his research was centered on astronomical speckle imaging, quantum-limited imaging, and optical information processing. S.I. Stepanov graduated from the M.I. Kalinin Polytechnical Institute in Leningrad. A Candidate in Physical-Mathematical Sciences, he is a senior research physicist at the A.F. Ioffe Physical Technical Institute of the Academy of Sciences of the USSR in Leningrad. The subject of his thesis was light diffraction in anisotropic media. His present interest relate to dynamic holography, the physics of photorefractive crystals, and diffraction phenomena in volume structures. A graduate of Kyoto University where he is presently a Professor in the Research Institute for Fundamental Physics, K. Ikeda has made outstanding contributions to quantum dynamics, including in particular quantum chaos, to the nonlinear dynamics of optical systems, and to turbulence. A. Aspect graduated from Ecole Normale Supérieure de l'Enseignement Technique and Université de Paris-Sud. A physicist at Ecole Normale Supérieure, he was selected for his work on the confirmation by optical means of the violation of Bell's inequalities, which provides support for the traditional interpretation of Quantum Mechanics and demonstrates that no local, deterministic hidden variable theory can apply. 1988: The 1988 Prize was redesignated as the 1989 Prize in order that it coincide with the year of the award. A graduate of Carnegie-Mellon University and an Associate Professor in the Electrical Department of the California Institute of Technology, was awarded the prize for his contributions to optical information processing, holography, pattern recognition, neural networks, optical memories and optical devices. A professor in the Department of Optics at Universidad Complutense in Madrid, Herrero contributed to the new expansions for the coherence functions of partially coherent and partially polarized electromagnetic fields, the proof that planar sources of different states of coherence can generate identical output fields, and generalizations of the basic radiometric concept of radiance to fields generated by two-dimensional stationary partially coherent sources. A graduate of St Andrews and Heriot-Watt Universities in Scotland, D.A.B. Miller moved to AT&T Bell Laboratories to become the head of the Photonics Switching Device Research Department. Miller's name is related to the quantum confined Stark effect, which he not only discovered and investigated both theoretially and experimentally , but also exploited for new applications to optical devices. Well known among those is the self-electro-optical effect device (SEED). W.P. Schleich graduated from the University of Munich and is a professor of Theoretical Physics at the University of Ulm. He was recognized for his work on the nonclassical states of light and the determination of the phase of nonclassical radiation. He contributed to the description of phenomenon of squeezing in terms of interference in phase space and to the discovery of oscillations in the photon statistics of the squeezed states. A graduate of the University of Tartu and a candidate of science from the Institute of Physics of the Estonian Academy of Science, A.K. Rebane moved to the Swiss Federal Institute of Technology (ETH) in Zurich to become a senior research assistant. Rebane has contributed to understanding the properties of frequency multiplexed holograms, through the causality principle, and to the investigation of the properties of referenceless time-and-space holograms. E. Desurvire graduated from Universities of Paris VI and Nice. He worked at Stanford University, AT Bell Laboratories and Columbia University. He has been a researcher with Alcatel Alsthom in Marcoussis since 1993. He is being recognized for his work on active optical fibers and devices and in particular his seminal contributions to erbium-doped fiber amplifiers. A graduate of Stanford University and University of California, Berkeley, T.F. Heinz worked with the IBM Research Division and joined Columbia University as a Professor of Electrical Engineering and Physics in 1995. He has played a pivotal role in the development and application of an entirely new area of laser spectroscopic studies for surface and interface analysis, introducing nonlinear and time-resolved optical techniques, such as surface second order harmonic generation, that have been widely adopted in laboratories worldwide. A graduate of Comenius University, Bratislava, the Moscow State University and the Joint Institute Nuclear Research in Dubna, V. Buzek is a research professor at the Slovak Academy of Sciences and at Comenius University. He has been recognized for his work on squeezing and other non-effects in photon statistics, atom-field interactions in microcavities and other theoretical contributions to the development of quantum optics. A graduate of MIT, Prof. Weiner assumed his current position as Professor of Electrical and Computer Engineering at Purdue University in 1992. Professor Weiner's pioneering contributions make possible linear filtering, shaping, and analog processing of optical signals in the femtosecond time domain, and enable a range of sophisticated new applications for ultrashort light pulses. Mendlovic graduated from Tel-Aviv University and Ozaktas from Middle East Technical University, Ankara. They received the award in recognition of their contributions to several areas of optical information processing, and particularly for their joint efforts in the development of the fractional Fourier transform and its application. A graduate of Vrije Universiteit Brussel (VUB) , H. Thienpont is the research director of the Ç laboratory for photonics È at the VUB and the promoter of research projects for the Flemish Foundation for Scientific Research (FWO), the Flemish Institute for Science and Technology (IWT), the Belgian Inter-University Excellence Centers (IUAP) and the European Community Microelectronics Advanced Research Initiatives (EC-MEL-ARI). He has been recognized for his contributions to photonics, optical computing and parallel optics. A graduate of University of Heidelbeirg, S.W. Hell joined the Max-Planck-Institute for Biophysical Chemistry in Gšttingen to establish an independent research group. He has been awarded in recognition of his innovative work on increasing resolution in far field optical microscopy. A graduate of Illinois Institute of Technology and Caltech, Riza is currently Chair Professor and EEE Department Head at University College Cork, Ireland. Over a decade of research, Nabeel A. Riza is responsible for the invention of several pioneering optical beam control structures that have strongly impacted fields such as array sensor controls, interferometry, signal processing, fiber-optic switching and controls, and optical scanning. A Ph.D in Physics from the University of Sydney in 1996, Prof. Eggleton is currently a Federation Fellow, Professor of Physics and the Director of the ARC Centre of Excellence for Ultrahigh-bandwidth Devices for Optical Systems (CUDOS). His main research achievements have beed developed in nonlinear optics, photonic bandgap structures, optical fiber gratings, air-silica microstructured fibers, tunable optical fiber devices, microfluidics, dispersion compensation techniques, Raman amplification and optical regeneration. Immanuel Bloch received his PhD from the Ludwig-Maximilians-University in Munich. Subsequently, he became junior group leader for ultracold quantum gases at the Max-Planck-Institute for Quantum Optics, Garching and the Ludwig-Maximilians University. Since October 2003, at just 31 years of age, he was appointed to full professorship of physics at the Johannes Gutenberg-University in Mainz, Germany. Immanuel Bloch has become the first to crack the BEC wave and regularly arrange several hundred of these special atoms into a glowing grid or optical lattice, with future potential applications in quantum computing. Hideyuki Sotobayashi received his PhD in electrical engineering at the University of Tokyo. He is Senior scientist at the National Institute of Information and Communications Technology, Japan.The award citation reads: "The ICO Prize for the year 2006 is given to Dr. Hideyuki Sotobayashi in recognition of his outstanding contributions in the areas of optics communications, optical fiber technologies and new photonic devices. These achievements were done as a researcher younger than 40 years old (as per December 31, 2006)". Susana Marcos (Salamanca, Spain, 1970) received her MS (1992) and PhD (1996) degrees in Physics from the University of Salamanca (Spain). She is Professor of Research at the Spanish National Research Council (CSIC), Madrid, Spain. The award citation reads: "The ICO Prize for the year 2007 is given to Prof. Susana Marcos in recognition of her outstanding contributions in the areas of visual optics and biophotonics. These achievements were done as a researcher younger than 40 years old". Z. Zalevsky was born in Russia and received his BSc and PhD degrees in electrical engineering from Tel-Aviv University in Israel. He is currently a professor of electro-optics in the school of engineering at Bar-Ilan University in Israel. Zalevsky was recognized for "his achievements and significant contribution in the field of optical super resolution, in particular for his work in theoretical and experimental definition of various approaches for exceeding Abbe's classical limit of resolution." Rajesh Menon has a BEng from the Nanyang Technological University in Singapore. He obtained his Ph.D. degree from the Department of Electrical Engineering and Computer Science at MIT and became in 2009 a Utah Science, Technology and Research (USTAR) assistant professor in the Department of Electrical and Computer Engineering at the University of Utah, and an affiliate of the Research Laboratory of Electronics at MIT. He was awarded in recognition of his "breakthrough achievement in nanolithography, in particular for his invention and development of the absorbance modulation method for a wider range of nanophotonic applications". Reinhard Kienberger studied electronic engineering at the Technische Universität, Vienna, where he obtained his PhD in Physics. In 2005 Kienberger received the Sofja Kovalevskaja Award of the Alexander von Humboldt Foundation. In 2008 he became professor of experimental physics at the Physics Department of the Technische Universität München, Garching, Germany. He received the ICO Prize in recognition of his "breakthrough work in attosecond science and its applications in metrology and spectroscopy." Nicholas X. Fang obtained his M.Sc. in Physics at the Nanjing University in China. In 2004 he received his Ph. D.degree in Mechanical Engineering from the University of California and joined the University of Illinois as an assistant professor. In 2011 he became associate professor of mechanical engineering and d'Arbeloff Career Development Chair at MIT, in Cambridge, USA, He was awarded the ICO Prize "for his pioneering work in optical metamaterials, optical superlenses and nanofocusing." Dr. habil. Tobias J. Kippenberg is Head of the Laboratory of Photonics and Quantum Measurements of the Ecole Polytechnique Fédérale de Lausanne (EPFL) in Switzerland. He has been recipient of the Helmholtz Prize in Metrology (2009), the EPS Fresnel Prize (2009) and the EFTF Award for Young Scientists (2011). He was awarded the ICO Prize for "his innovative and pioneering research on cavity optomechanics and optical frequency combs using optical microresonators." 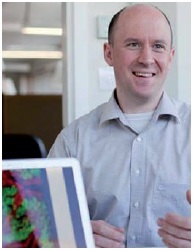 Martin Booth is head of the Dynamics Optics and Photonics Group at the University of Oxford, UK. The ICO Prize Committee awarded the 2014 ICO Prize to Prof. Martin Booth, University of Oxford, UK, “for his innovative and pioneering research on dynamic optical methods and new approaches to adaptive optics”. 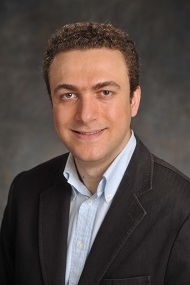 The ICO Prize Committee awarded the ICO Prize 2015 to Aydogan Ozcan, Chancellor’s Professor and HHMI Professor in the Electrical Engineering Department of the University of California (UCLA). The award citation reads “for his seminal contributions to bio-photonics technologies impacting computational microscopy and digital holography for telemedicine and global health applications”. 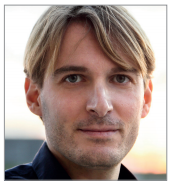 Prof. Andrea Alù, Temple Foundation Endowed Professor #3 at the University of Texas at Austin, was awarded the ICO Prize 2016 “for his groundbreaking work on metatronics for ultrafast electronics and the localization of optical radiation in structured materials”.